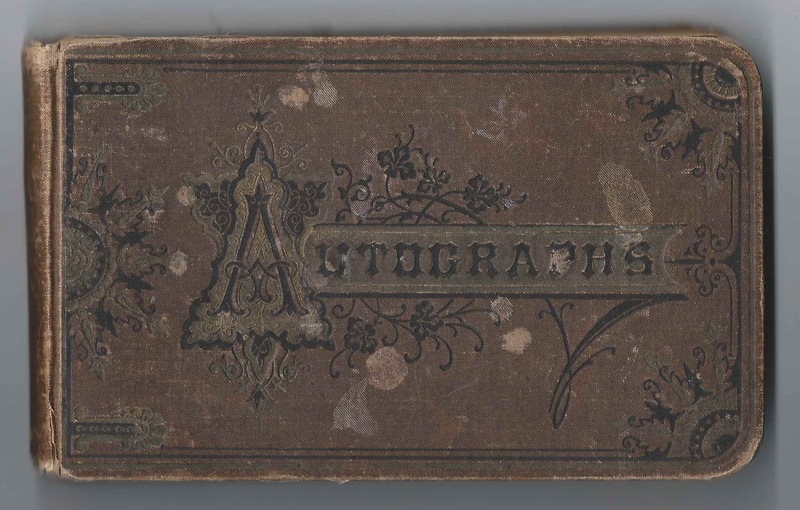 1878-1885 autograph album that belonged to a Nellie who lived in the Boston, Massachusetts, area, perhaps at Boston or at West Quincy, as most people who signed pages in the album came from either place. Sadly, not one person who inscribed a page in the album mentioned a family relationship with Nellie so that I could tease out her identity. One of the Boston signers indicated that Nellie was her teacher. 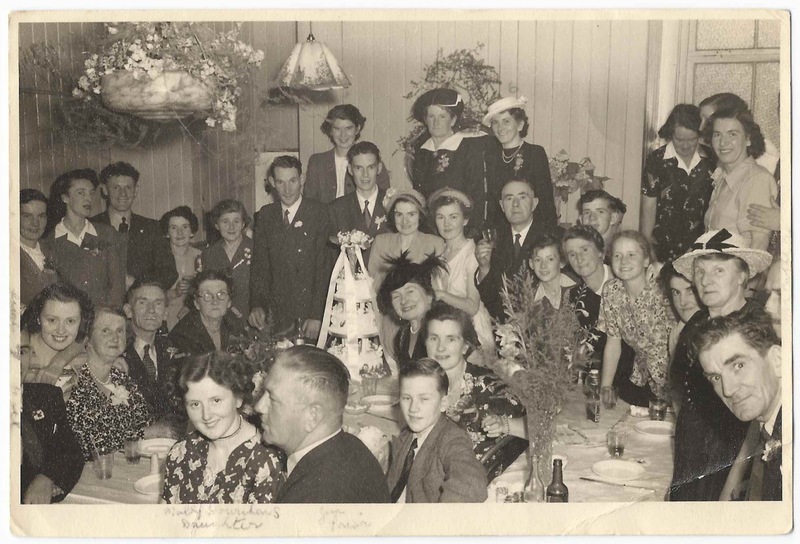 The album includes 6 loose photographs, shown farther below. Since I don't know the provenance of the album, other than the previous owner purchased it at an estate sale at Weymouth, Massachusetts, where it was found in the attic, I can't be sure the photographs have a connection to Nellie, but I assume they do. 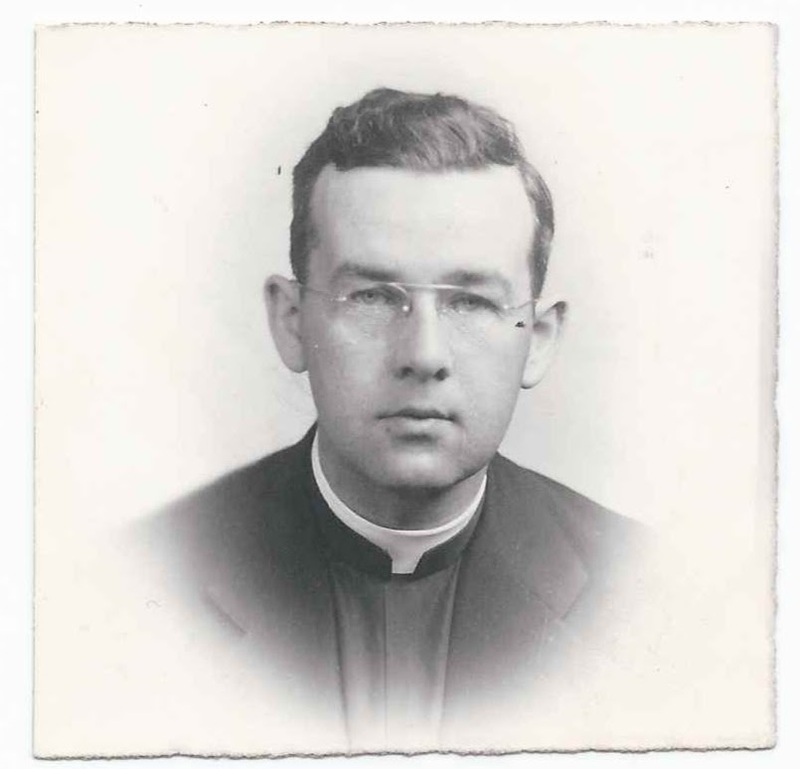 One of them features Richard Cardinal Cushing, Archbishop of Boston. Nellie wrote an introduction to welcome future well-wishers. 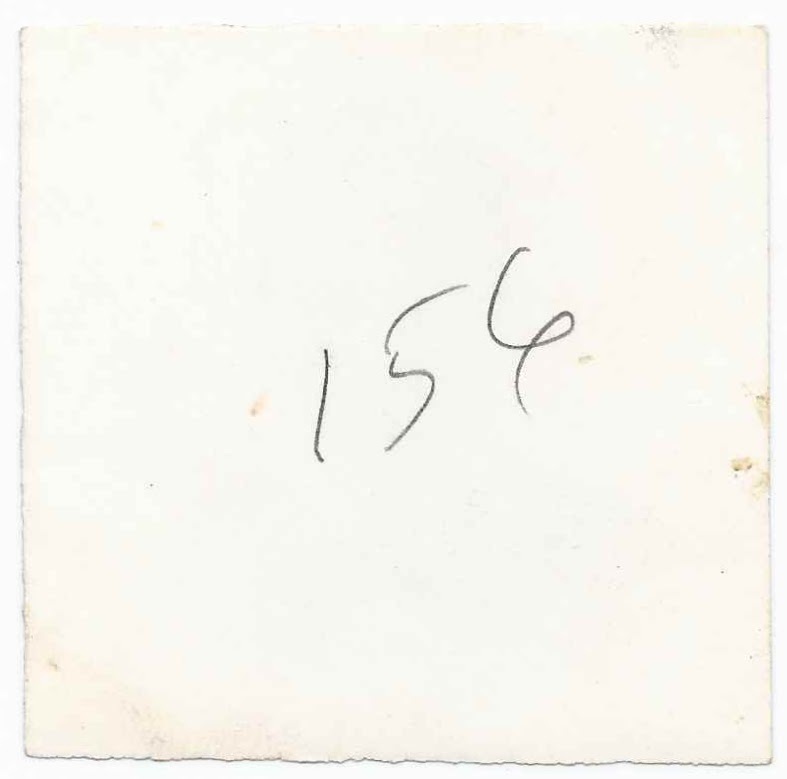 The album measures approximately 7" x 7-1/4" and contains the sentiments of 46 of Nellie's friends and pupils. An alphabetical list of the signers, with any residence and pupil relationship included, appears at the end of this post. J. G. Woddick inscribed a page on December 31, 1878 and included some initials: P.J.D., J.E.B, W.B. and "Temperance Ball"
M. C. McCarthy, "Your pupil", signed a page at Boston, Massachusetts, on May 13, 1879. Rose O'Donnell signed a page on April 19, 1879 and mentioned "Grove Hall". 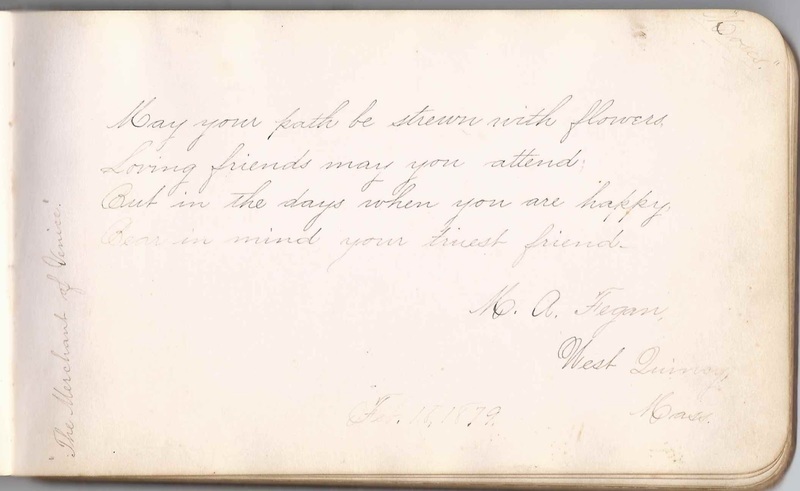 M. A. Fagen of West Quincy, Massachusetts, signed a page on February 19, 1879 and mentioned "The Merchant of Venice"; she was presumably Mary A. Fegan, Nellie's sister. Perhaps this play was what Nellie, Mary, and, presumably, Nellie, were rehearsing in the basement? 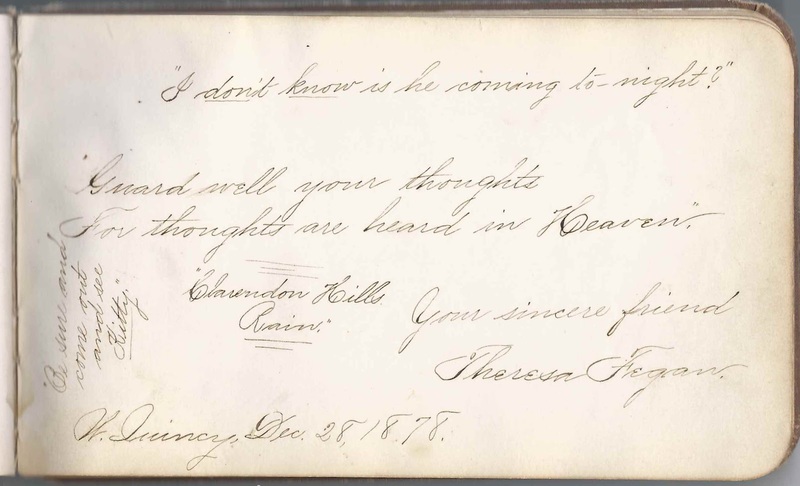 Theresa Fegan, presumably another of the Fegan sisters, signed a page at West Quincy, Massachusetts, and mentioned "Clarendon Hills". 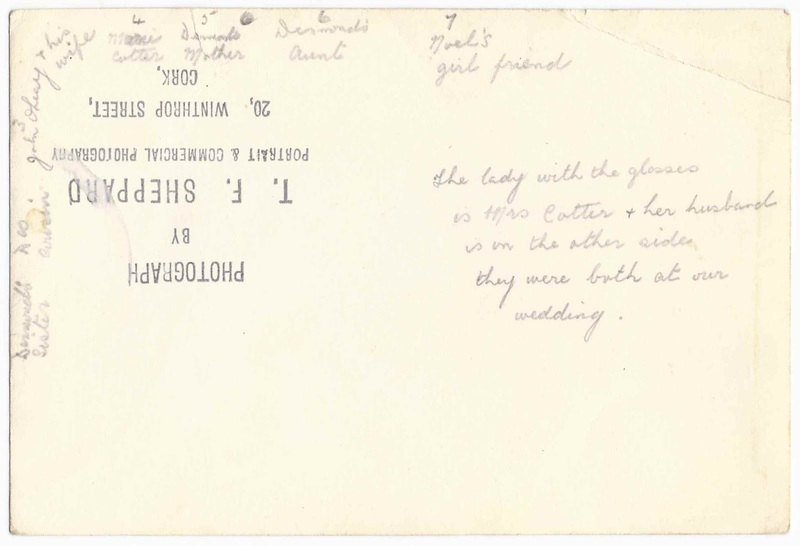 Sorry to show so many of the Fegan girls' pages instead of others, but they happened to be the signers who added the most personal notes, perhaps reflecting a very close relationship to Nellie. Laura A. C. Hughes, signed at Pentecost, June 5, 1881 and added B.C.H. Could this be Boston City Hospital? Was Nellie a teacher here? Someone, presumably L. Kearney, inscribed an acrostic in January 1881. Lucy G. Hennessey of Boston, Massachusetts, inscribed her page to "Ellie" rather than "Nellie", the only signer to do so. 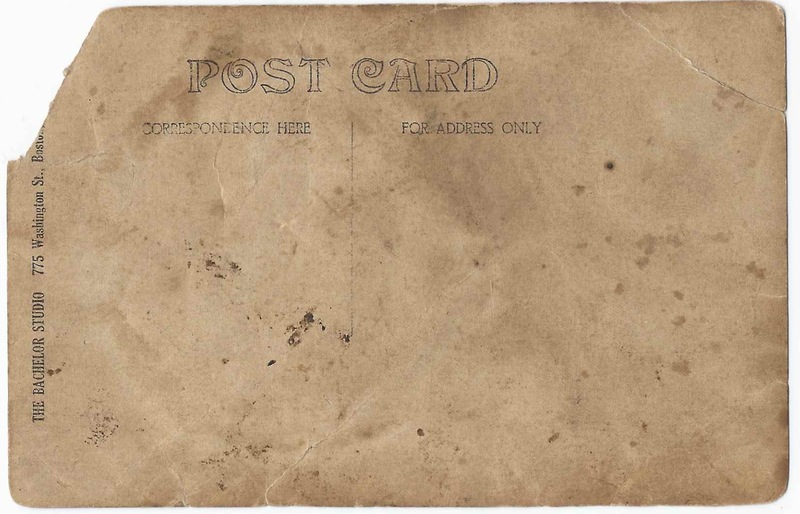 Real Photo Postcard, front and reverse, produced in Boston, with a name that's hard to decipher. Barrett Carr? Burnett Carr? 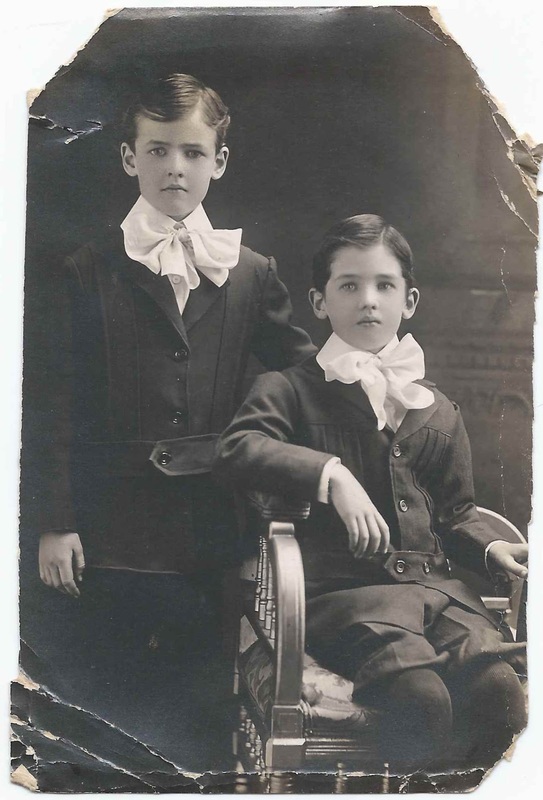 Hopefully a reader will recognize this photograph from family albums. 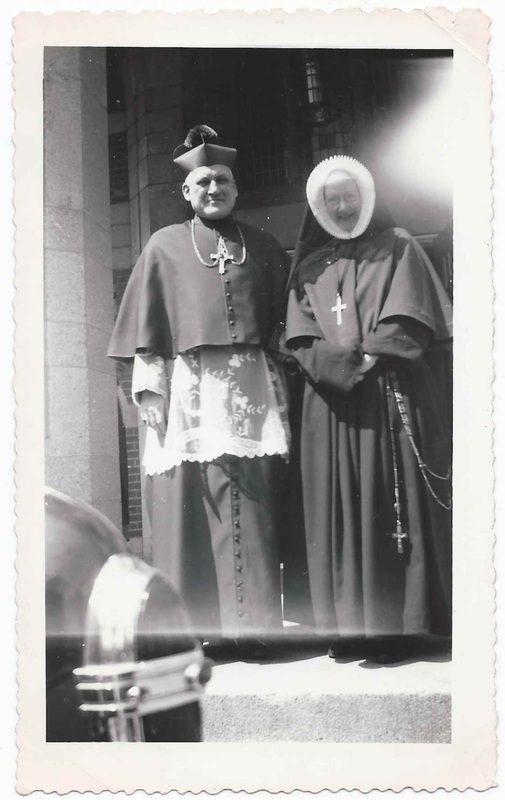 Snapshot of Richard "Cardinal" Cushing and nun; reverse at right. If you have a theory of Nellie's identity, based on any clues from above or in the list of signers below, or from the photographs, please leave a comment or contact me directly. Thanks! 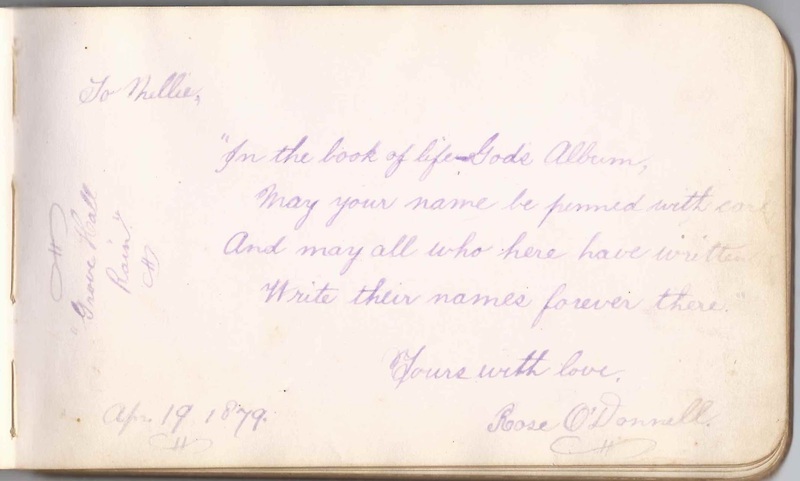 Album owner Nellie inscribed a page welcoming her friends to inscribe a page in her album. Annie E. Barry, signed on March 11, 1879; "your sincere pupil"; perhaps the same Annie E. Barry who signed another page. Annie E. Barry, signed on May 11, 1879; "your pupil"; perhaps the same Annie E. Barry who signed another page. Maggie E. Burns, signed at West Quincy, Massachusetts, on December 28, 1878; "Grecian Bend"
Mollie M. Early, signed at West Quincy, Massachusetts, on December 28, 1878; "be sure and come to Nora"
Theresa Fegan, signed at West Quincy, Massachusetts, on December 28, 1878; "Clarendon Hills"
Lucy G. Hennessey of Boston, Massachusetts, signed on July 13, 1885. Lucy called Nellie "Ellie". Helen Jordan; she wrote a poem entitled "A Pansy"; at the bottom of her page she wrote the word "Original", so presumably she wrote the poem. 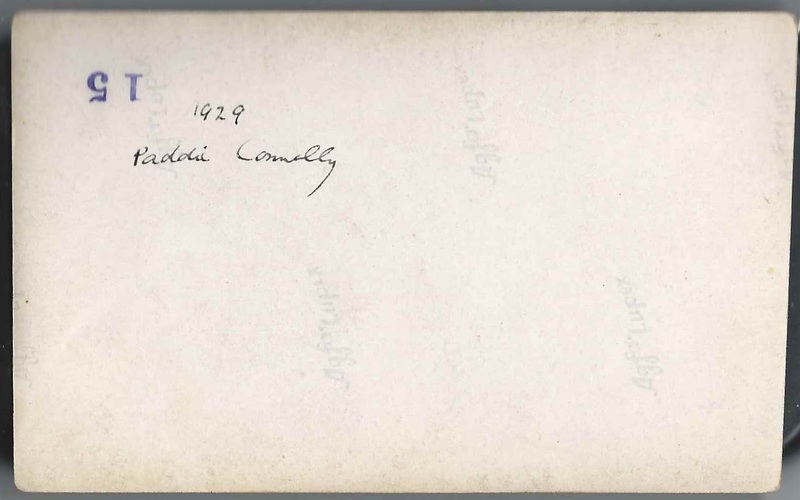 M. E. McCarthy, signed at Boston, Massachusetts, on May 13, 1879; "your pupil"
James O'Donnell of South Boston, Massachusetts, signed on April 19, 1879; middle initial might be A or N or ? Rose O'Donnell, signed on April 19, 1879; "Grove Hall"
Boy, I'd die for a group picture of my relatives in Ireland and this one is sitting in an attic? Grove Hall is an area in the Dorchester section of Boston. Hancock St, without looking at a map, I think is in Quincy, but may start in So. Dorchester. I wish "B.C.H." was Boston College HS-- that would make it easier -- but BC High is all male and always has been, from what I remember and can tell on line. If I get a chance I will poke around at some of the names. Thanks for taking an interest in this project. Sure hope you can unearth something! I think Nellie grew up in west Quincy but was teaching and boarding in the South End (Boston) in 1880. She might have been good friends and/or schoolmates with the Fagans and Maggie Burns. Theresa and Nellie Fagan are both teachers, living on Cemetery St near Willard in 1880. They taught at the Willard School, Quincy. In 1880, Margaret Burns was on Common St, and was an assistant at the Washington School (assumed in Quincy). 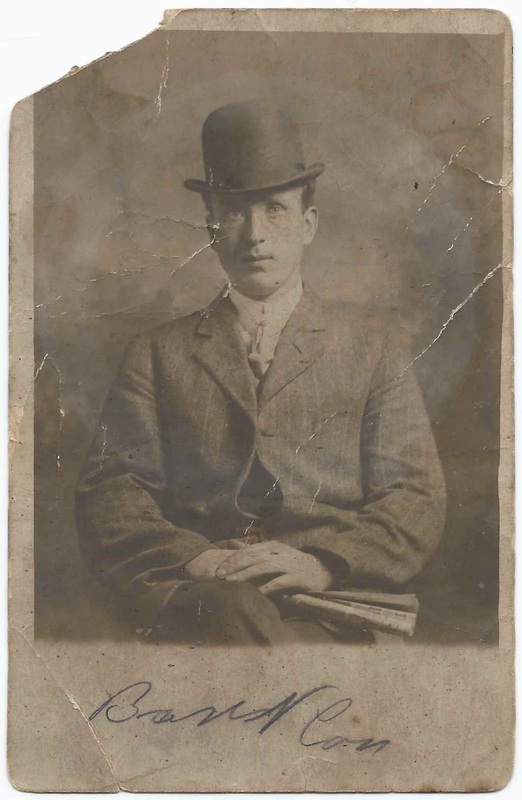 John G Woddick, 1880, was a granite cutter or stone mason, etc. Manual labor, but walking distance from the Fagans and Burns. Then I found some of the Boston names, all in the same area of the South End, not far from Boston City Hosp. Maggie Brett, 320 Harrison Ave, Sarah and Annie Burton, 111 Nassau St, Mary and Louise Devereux, 88 Vernon St.
Laura A.C. Hughes, 21, is an assistant nurse at BCH, on Harrison Ave, and is living there as well. For the student, I assumed the first name was Mary -- and the initial is an "E" not a "C". Found many in Boston, but there was one in the South End: Mary E, 14, daughter of Daniel, at 590 Shawmut Ave. Looking for Maureen E. McCarthy at familysearch gets you only Mary E. They are pretty good at finding alternate names, better than ancestry, so I don't think there were any Maureen E's. The Cork photo lists three relatives of a Desmond: his aunt, mother, and sister. But his own name Des ..... is unreadable. Is it Cobain, Cibain? The picture of Paddy Connelly looks like it was taken in Ireland, so I didn't even try him. Thank you for all of that research! Agree about the good relationship with the Fegans; their comments show a level of familiarity beyond most of the others. I'm wondering if the woman shown with Cardinal Cushing might be a relative of the folks in the photos and/or Nellie? ?